[02.10.2018 00:00:00] - The eight year of the EY Blitz Tournament of Managers was won in the early Monday evening by Jan Hruška from ČEZ, who came ahead of the owner of a translation agency Jean-Francois Cantier and NNIP´s manager Michal Špaček. The guest of honour for the evening, held by Prague Chess Society in AdAstra Café, was a legendary Slovak chess player Ján Plachetka. The first Slovak grand-master talked about an old Prague Chess master and eccentric Josef Hašek and even older Russian grand-master Osip Bernstein. 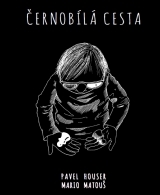 Two very different fates and personalities, but similarly deep understanding of chess game. The invited managers started in four basic groups and subsequently in four advanced groups. The former ČSOB Member of the Board and nowadays the president of Chess Federation of the Czech Republic Jan Lamser, the favourite to win according to ratings, was not in his best shape this week and so ČEZ´s manager Jan Hruška gained a well-deserved overall victory. 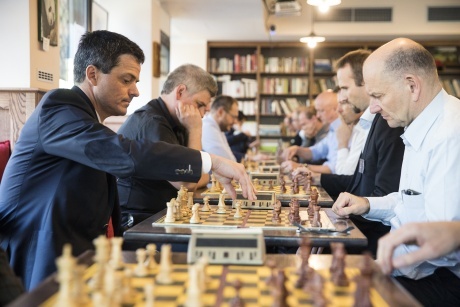 The second and third place were taken by two players of the GROP chess club - the owner of the translation agency Jean-Francois Cantier and NNIP´s portfolio manager Michal Špaček. Traditionally good performances were delivered by EY´s managers – partner of EY Petr Knap (sixth overall place) and Robert Gerzeni (fourth overall place). Another player of the GROP chess club and the director of ČEZ´s controlling Jan Klaus managed to wedged between them. As always, at the end of the successful evening, the winner could play two blitz games with the invited grandmaster. 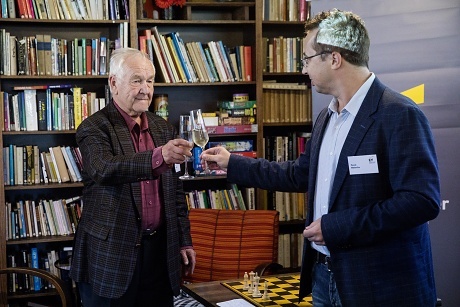 The chairman of Prague Chess Society Pavel Matocha is greeting a legendary Slovak chess player Ján Plachetka at the 8th year of the blitz tournament of managers. The director of ČEZ´s controlling Jan Klaus won convincingly with a deputy general director of Unicredit Bank, Aleš Barabas.